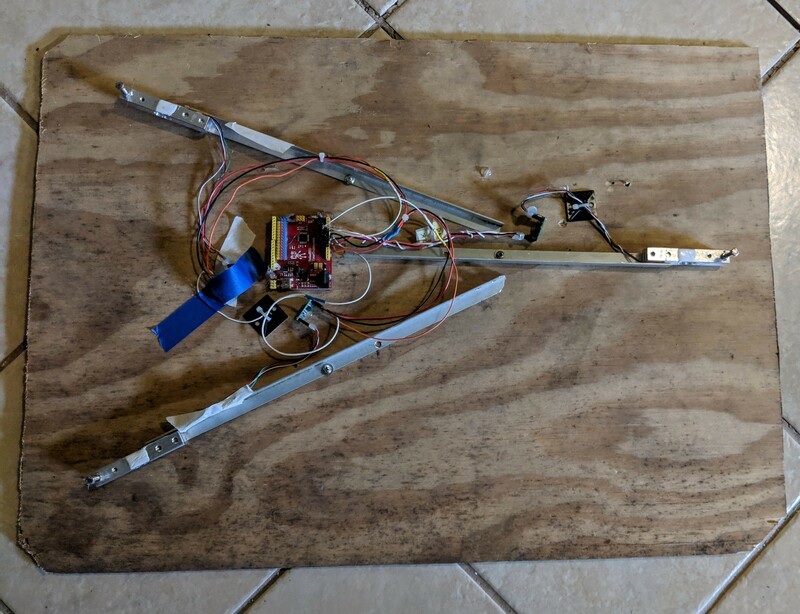 I am a ways into my project catPooPee (aka PooPeePi ) which records overhead video of cat's litter box (using "motion") and records weight of litter box using load-cells (3-5kg load cells arranged as three hard points touching floor ). I want to move forward with ID of cat using openCV but that software suite is not in my skill set yet. I'd really like recommendations to help me down a path of least resistance of Identifying cat by color of collar. Motion video is running well on old original pi burning about 25% of cycles. Measuring load-cells is off-loaded to arduino uno underneath litter box and is sent serially to overhead rpi. Rpi and RPi-cam is currently in structure above litter box but will be relocated to pole mount in future. Daily videos are offloaded to another server. I'd like to migrate entire system to one rpi-zero-w eventually if within it's limits of computational power. Any help to move forward with openCV on rpi greatly appreciated. for the very nice/cheap instrumentation amp that I'm using. Looks promising, will report after testing. 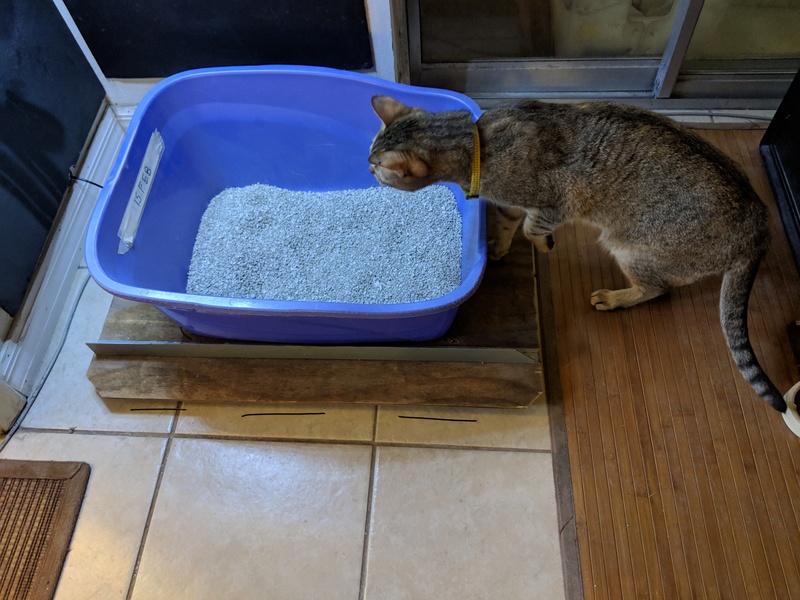 I am using 3 load-cells per litter box (underneath a platform that supports litter box) and was amazed to find that the weight is NOT equally distributed. Maybe it's a function of cat-center-of-mass versus centroid of load-cell contact points??? (I am static's challenged). 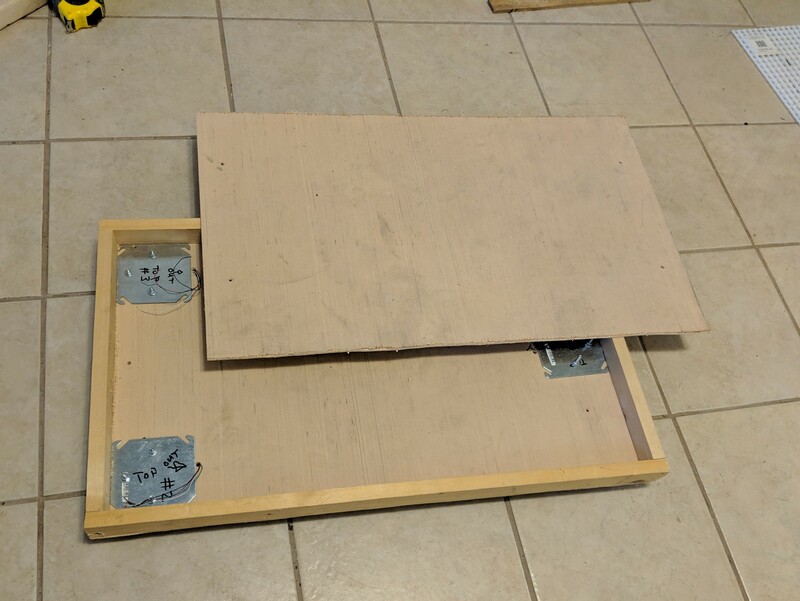 I'm building up a second litter box now that I hope to connect the three load-cells (using the proprietary but documented synchonous serial protocol) very soon, reports to forum will follow. Well I did something similar (just video with motion) to see which cat was missing the box. It turned out to be the one with arthritis. Rather than video identification, could you do it by weight? That might be a lot simpler in the long run. While I applaud your inventiveness i am dumbfound as to WTF and WHY??? I have dotted on all my cats over the years, i lost my lil black stealth cat Daisy about 3 years ago and still expect to find her occupying the corner of my eye in every room of my home, I was raised to understand that in the grand scheme of things Cats come first, For my formative years i would return home from school and wait while my Mam finished cooking the cats dinner (fish rabbit or chicken) before i was given my frozen reheat..
thx for testimonials and data. to answer WTF & WHY. background. I spent life disliking cats and being a dog person. Then I spent some romantic weeks with beautiful russian lady in Sochi who is bonkers for cats. We spent much budget and time helping strays. That was NOT my plan but the experience changed me about cats. Now I'm certified cat-person. Of course all this happens about the time I retire. So... got all these aerospace skill sets and time on my hands... voila... project "catPooPee" that i'm sure will splinter and fork into many more cat-tech projects, ha. I'm in a great maker space (Familab, Orlando) where I'm trying to recruit openCV expertise to pursue the first goal of ID-by-collar-color, then on from there. Periodic reports will be made to rpi-forum. btw... the real WHY is that I've been convinced that cat dropping analysis (and weight tracking) may be a path of least resistance to monitoring cat health (so far I'm trusting but have goal of verifying). - rpi-zeroW + rpi-cam running motion will capture box visit events (one avi plus sequenced jpgs) overhead litter box on pvc tubing structure. - arduino nano running HX711-multi code base to manage 3 load-cells (5kg) will connect to rpi-zeroW via usb. - central cat-server will pull accumulated poo-pee events from each remote rpi-zeroW (with local purge) on daily basis. - central cat-server will prepare daily report based on motion event combined with weight measurements during the events. Drawings for catPooPee platform that contains hardpoints for load-cells and pvc pipe structure for holding rpi-zeroW will be made available at some point. In response to Phatfil asking WHY, I had the same question after meeting 'monkeyfork' at Familab. He convinced me of the need though. First, on the individual level; when one of his cats was ill he said he would have realized sooner and prevented unnecessary suffering if he'd known that one particular cat had stopped using the litter tray regularly. Also he's thinking far into the future. When we start having general purpose robots doing household chores we will create less landfill if they can detect when to clean the litter tray, rather than changing it at set times. This catPooPee project is a step towards a bigger environmental project. And when he's developed this system there might be wider applications of the technology. thanks kalayana for mission support)) Your perspective is valued. I should think more about how to present intent of project. Now a short catPooPee update for proof-of-life (i am old, that is always in question). The arduino code base HX711-multi is now working (after minor tweaks) for the triad of load-cells (for litter box weight measurement) and giving reasonable data (still drifty as a ten-cent gyro because of temp coefficient of resistors in loadcell combined with self-heating effects). The arduino connects to a rpi-B-early. The arduino is pumping out 3 measurements of the litter box weight at 10hz @ 115200bps. I've now written C code that receives the weight data and prepends a motion-like time stamp to record. So... Motion running full time can consume 20% of available cycles (of old rpi). Layering on handling of the serial data from arduino is peacefully coexisting with motion so far although I did have apparent buffering problems that I've bandaided (to be analyzed later, right now I need drama). the data to see if it's possible to measure the weight of 'deposits' and how well weight can be used to ID the cats. (my two furry lab assistants are close in weight so they make a good test case). platform0: 3/8" plywood scrap for planar surface. 1/2" AL angle used to fab struts that hold load-cells (at extreme ends). arduino and load-cell amps mishmashed willie nillie toward center. Assembly contacts floor by 3 M4 hex head bolts and extreme end of load cell. The 'struts were intended to stiffen the plywood to minimize sag when loaded. My guess is that in taking path of least resistance for fabrication, the floor contact points are a few degrees off plumb. The off-plumbness is aggravated by the platform not being stiff enough. Fully loaded with litter box, litter and cat there is a perceptible sag in middle. When cat jumps out after 'event' the sag rebound plus stiction of the floor contacts probably changes how far off vertical the contact points are oriented. Next action is to remount all the load cells to ensure vertical force vector and to stiffen platform to eliminate sag. After reading up on the HX711 load cell amp I see lots of folks chasing both noise and drift issues. I'm sure I'll get to that but that's fine tuning compared to errors that I have now. Still convinced that cats are extra-terrestrial engineers. Ok... I'm officially jazzed now. After yesterday's tweaks on the platform that has load-cells as floor contacts I'm getting very good data. Here is time history of a "pee-event" (helpfully arranged by my furry lab assistant PeachO). Note stairstep on on leading edge. I believe this to be cat stepping into box. Stepping onto the platform in someplaces will actually "unload" some loadcells and probably accounts for this artifact. Also note a bit of scratching around early, a section of calm, then another section of scratching around as would be expected. Then near end of event a spike as PeachO launches himself out of the box. Finally and most importantly, a baseline shift that hopefully will be a standard data point, the weight of the cat-deposit. I could make available the raw data and the associated jpg's and avi's from overhead motion triggered cam if anyone is interested in analyzing. I'm not very good at that aspect and would welcome opinions. The "tweaks" on the platform yesterday was stiffening with aluminum angle and adjusting hard points (load-cell floor contacts) so that they are much closer to being orthogonal to floor. The platform has evolved to be a box structure to maximize rigidity and minimize weight while using off the shelf material that can be formed with simple wood working tools. 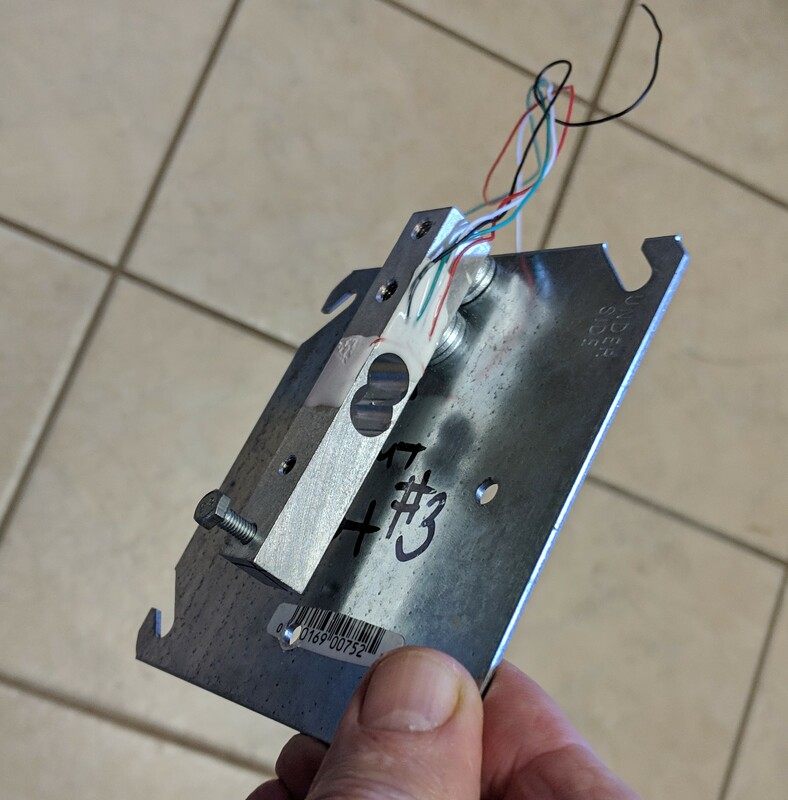 The metal in corners of box are electrical outlet cover plates that act as rigid hardpoints on which to mount the weighing sensors called load-cells. The box structure will contain some of catPooPee electronics. One arduino and the load-cell differential amps will be wired together inside box. delicate wires from load-cell enter box very near load-cell to minimize exposed wire, silicon caulk will be added at that entry point to protect wires. Here's a view of the underside of the box platform showing detail of loadcell mounted to coverplate. http://dabeak.com/cPP_hardPoint_loadCel ... 1147~2.jpg The M4 hex head bolt on this upside down view is one of three contact points with the floor. I welcome comments about my 3 point weighing scheme which was a path of least resistance and has not been a tipping problem (so far). the good news. The famed cat curiosity is real, new innovations are rapidly investigated and subjectect to intense environmental testing, herf, electrostatic discharge, salt water spray, shake and bake. the bad news. The famed cat curiosity is real... I can't keep the furry varmits out of the electronics. 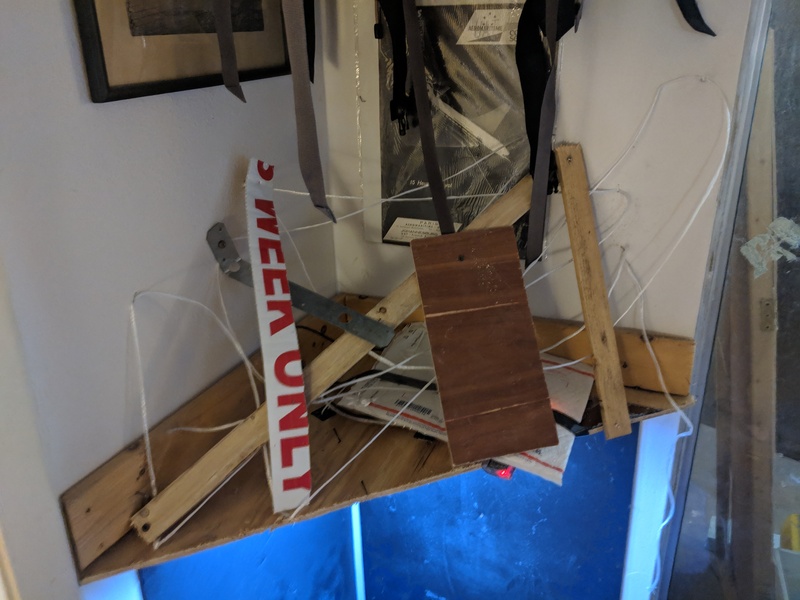 here's pix of the growing anti-curiosity protection of raspberry pi with cam that is presently suspended over the cat box on a temp horizontal surface that apprarently a MUST-VISIT cat LZ. right now I'm accumulating about 200MB/day of litter box visits (jpg&avi). Obviously too much data. Will be working toward paring that down to something reasonable before merging with cat-box weight data that is now just streaming to /dev/nul. little brightly coloured wires will be uber catnip consider potting the electronics when finalised..
PhatFil: I've used a lot of milspec equipment with potted connectors, potted assemblies and conformal coated pcbs but never had to deal with the manufacturing particulars. You got any recommendations for a pourable RTV? mushu999: I'm using weight as a health metric and that is working very good. However, I do want to move forward with getting openCV to be more robust at identifying individual cats using distinguishing cat collars. It appears that your link identifies sortof generic objects. Do you have any idea if that code base is tweakable to be very specific? This is a bit gross, cute project. It has great potential, pet health monitoring might be a lucrative thing. I guess you can identify an individual cat in opencv by combining weight and image colour. Unless you deal with equal sized/coloured twins, it might work. A pi should be sufficient to process image data in opencv since it doesn't need to be done real time, it can spare a few minutes to analyse each "pee-poo-pi event" . 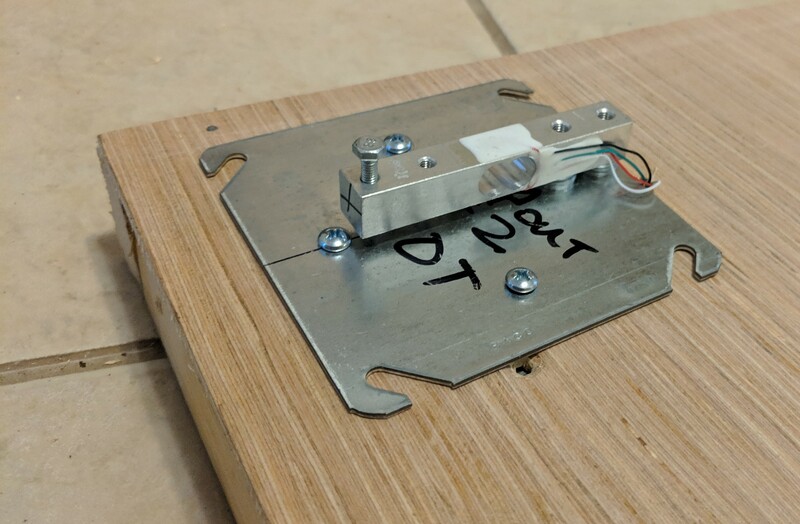 The "normal" bathroom scales use four half bridge load cells, one in each corner of the square platform. They are wired in a full wheatstone bridge so the output is a single analog voltage proportional with the sum of weights on all four sensors. They do not need individual readings /HX711 for each load cell. However by measuring multiple points, more detailed movement patterns could be detected, which might be useful to figure out "something could be wrong" with a cat. here is the latest shiny redirection and unintended consequence of my folly. Initial construction is to have plastic grid seen in pix is just standard plastic lighting louvre. Underneath louvre is fiberglass screen material. Underneath screen is a gap then short drop and sudden stop in bottom collection grid which is another section of same grid at top. The grid at top will be filled and covered with safflower seeds which supposedly are non absorbing (trust but verify at this point). The top grid is present to keep claws from fiberglas screen. 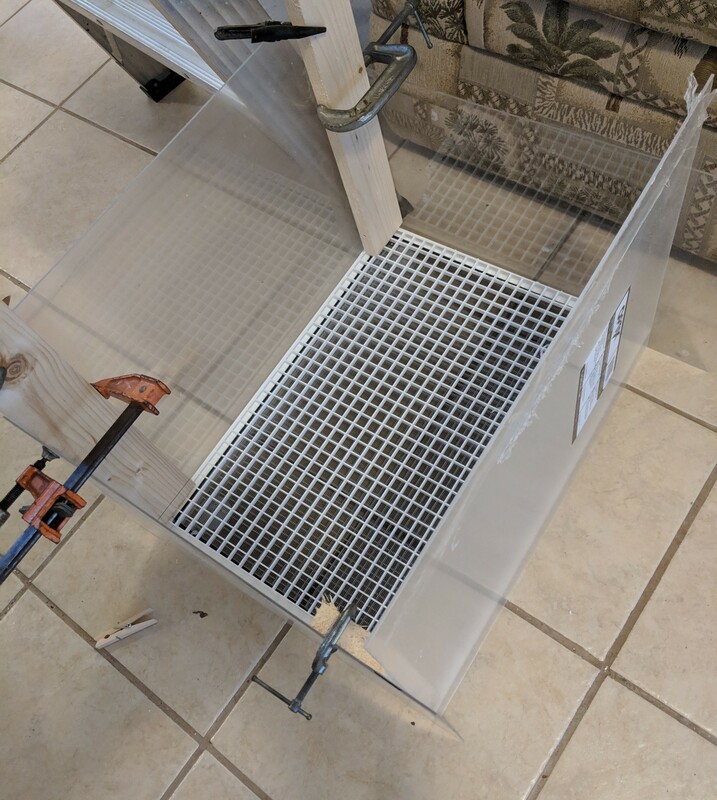 The air gap between screen and bottom collection grid is maintained (against weight of litter and cat) by a grid of ping-pong balls. The bottom grid will be bottom sealed _somehow_ to form a gridded urine collection area. Viewing the "motion" catPooPee events should provide geolocation(haha) of urine and link to proper PurrrPEEtrator. is intriguing idea. I actually went with the multiple weight measurement points because it was the path of least resistance that I had confidence in. I really don't like the comsumer scale method of combining 4 load cells into one wheatstone bridge. Also the load cells I'm using each come with a instrumentation amplifer at minimal cost (5kg LC plus amp ~ $5). Now that Blimpyway mentions the possible cat-diagnostic upside to having some AI analyze a cat's scratching, circling, prancing I want to keep the multiple weight points for sure. so faithful readers... if I make a dataset available that contains a full pi-poo-pee event could someone smarter than me (low bar) play with analyzing. Indicate your willingness here and I'll try to make it happen sooner rather than later. 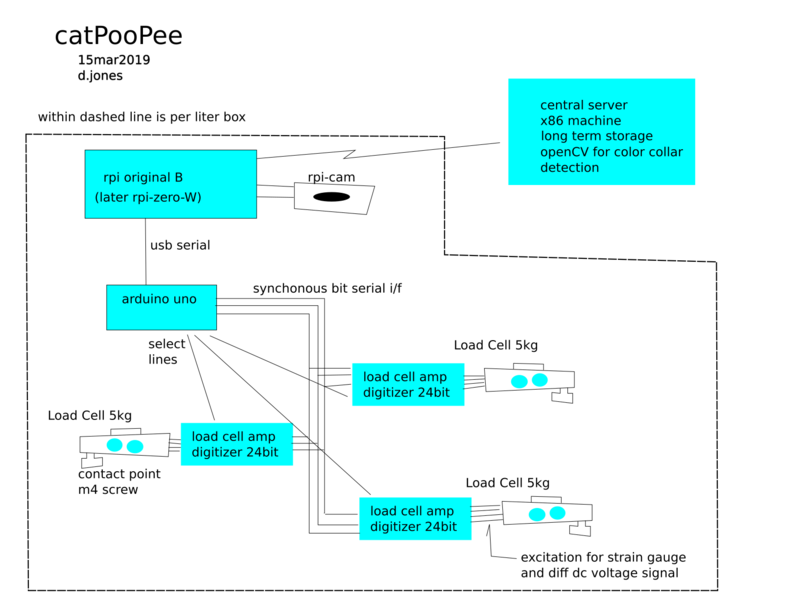 quick n' dirty block diagram of catPooPee as it exists now. I have two litter boxes that record motion video but only one has litter box weight instrumentation. The central server pulls accumulated motion avi/jpg on daily basis by a script that does mostly scp then purges via remote cli. The script is now manually run but will be cron soon. For anyone who like playing with datasets, here is a pee-event. Lab assistant Piffy-the-cat was chunked into the litter box for a functional check of the load-cell recording hardware/software. Evidently she decided to enhance the experiment by relieving herself, how accommodating! <time as milliseconds since epoch> <date in application "motion" format> <clock-time>: <LoadCell#1sample> <LC#2samp> <LC#3samp>. For this stage of development, I'm keeping the jpgs in hopes that it's more robust to detect the colored-collar of the cats using openCV on static images. The load cell samples are just raw output of signed 24bit digitizer (it's a differential voltage so can go + or - ). The transfer function from bits to grams is not apparent at this time (cheapie chinese load-cells kinda weak on docs).